In the eight years since his first full-length novel Gridlinked was published by Pan Macmillan, Neal Asher has firmly established himself as one of the leading British writers of Science Fiction, and his novels are now translated in many languages. Most of his stories are set in a galactic future-scape called 'The Polity', and with this collection of marvellously inventive and action-packed short stories, he takes us further into the manifold diversities of that amazing universe. No one does monsters better than Neal Asher, so be prepared to revisit the lives and lifestyles of such favourites as the gabbleduck and the hooder, to savour alien poisons, the walking dead, the Sea of Death, and the putrefactor symbiont. Fans of Asher's Polity future history will not be disappointed. For the established fan this collection makes a great addition and fills out some the Polity universe you've come to know and love. 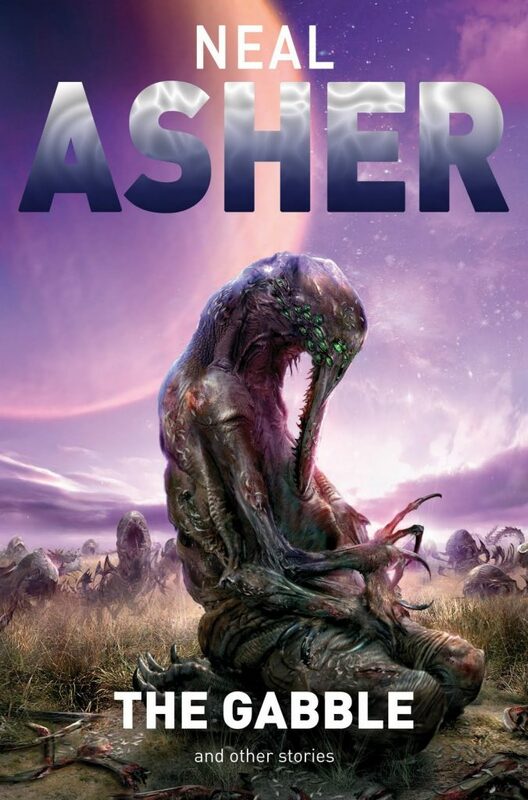 For the newcomer to Neal Asher, you've a treat in store as this will serve as a nice introduction to his work and a neat signpost as to what part of Asher's universe to read next. If you've never sampled the delights of Asher's work then this collection would be a very good place to start. Thirteen marvellously inventive and action-packed short stories.